Charged with a DUI in Montgomery, Ohio? As a highly rated Ohio DUI attorney, Attorney Douglas Riddell defends cases of drunk driving throughout the Cincinnati area, including arrests by the Montgomery, Ohio Police Department. 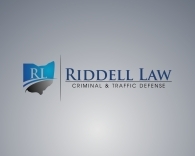 Attorney Riddell has been awarded a number of awards recognizing his reputation for excellence in Ohio DUI law. For example, Martindale-Hubbell has awarded him an AV Preeminent® Peer Review Rating. The AV Preeminent® Rating is the highest rating awarded by LexisNexis Martindale-Hubbell for a lawyer and is established wholly on a peer-review basis. Further, Attorney Riddell has been listed for 2014 as an Ohio Rising Star by SuperLawyers Magazine 2014. He was chosen as one of only four Ohio Rising Stars in the area of Criminal Defense: DUI. Ohio Super Lawyers is a rating service of outstanding lawyers from more than 70 practice areas who have attained a high-degree of peer recognition and professional achievement. Riddell has also achieved a 10.0 / 10.0 rating on Avvo.com — the highest possible rating by Avvo.com. Typically, most DUI first-offenders who are arrested by the Montgomery Police Department for operating a vehicle while intoxicated (OVI) are not charged under Ohio’s OVI statute. Rather, Montgomery often charges its OVI cases under Montgomery’s Local OVI Ordinance (Section 73.01). A mandatory minimum jail term of three consecutive days (72 hours). This could include a jail term, a driver intervention program or a combination of both. The court may impose additional jail time as well up to 6 months maximum. The court may order additional treatment or additional alcohol education programs to be completed. Fines: Between $375 – $1,075 for a Montgomery DUI conviction. License Suspension: 6 months to 3 years. A defendant may, however, apply for limited driving privileges while his or her license is suspended so that the defendant can drive to / from work or school. To speak with one of our attorneys now about your Montgomery OVI or criminal case, call our attorneys now at (513) 655-7240. All initial consultations are free of charge.